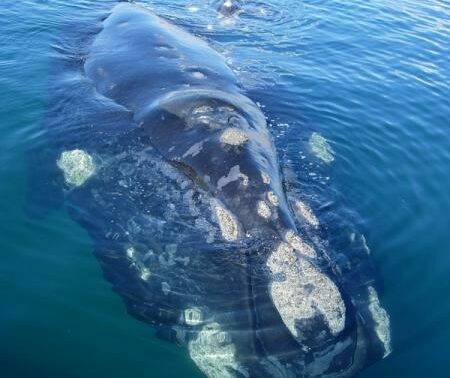 Estancia la Esperanza reserve in Argentinian Patagonia recorded an unusual visitor last month, with repeated sightings of a Humpback Whale from the coast of the reserve. 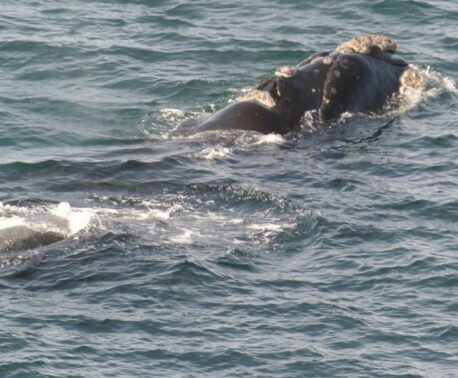 Although Southern Right Whales are a frequent sighting from the reserve in summer as they migrate past the Estancia on their way to Península Valdés to meet and breed, Humpback Whales are rarely seen from the reserve coast. 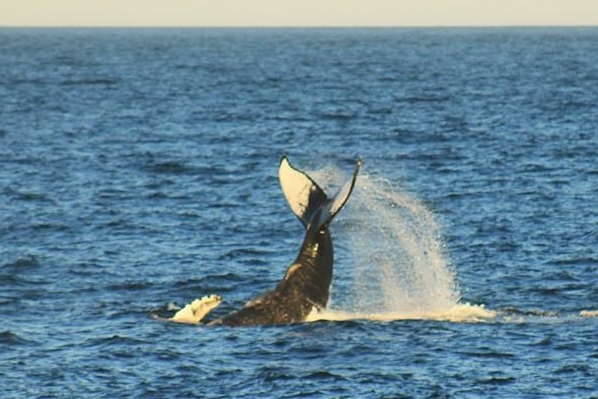 This individual was seen several times, and exhibited interesting behaviour captured on camera by Fundación Patagonia Natural (FPN) staff: lobtailing, flippering, diving and the ‘peduncle throw’ behaviour unique to humpbacks (pictured right: a reverse breach where the whale’s tail and rear torso are propelled out of the water). The waters off the coast of the Estancia are important for another large marine mammal: the Southern Sea Lion, which congregate in a large colony on the beach of the Estancia. FPN has reported that the first sea lions have come to the coast, and are about to begin their annual census. Last year, a total of 50 adults were counted over Summer and Autumn but no breeding was recorded. Estancia la Esperanza (meaning Ranch of Hopes) is a reserve protecting the terrestrial and marine species found on the coastal steppe habitat of Patagonia. In addition to monitoring the terrestrial wildlife of the reserve, ranger Adrián Rodriguez monitors the number of Southern Right Whales passing the reserve on their way to the Península Valdés breeding grounds and the Sea Lion colony. His salary is supported by World Land Trust’s Keepers of the Wild programme, which supports the reserves land purchase projects have secured by paying the salaries of rangers hired to monitor wildlife and protect the land from threats.